Christian Louboutin's 'Nosy' pumps have been worn by everyone from Jennifer Lawrence to Kendall Jenner and Reese Witherspoon. 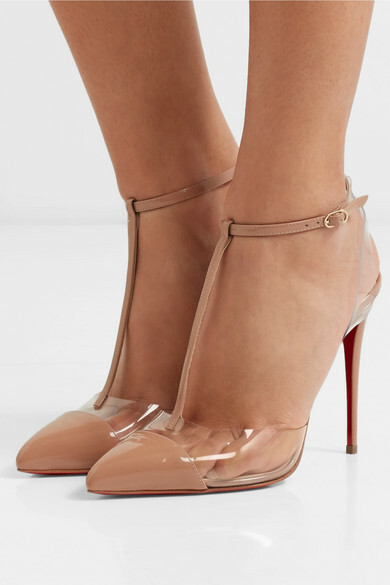 They're made from beige patent-leather and secure discretely with clear PVC straps. Show off the flattering barely-there silhouette with cropped jeans. 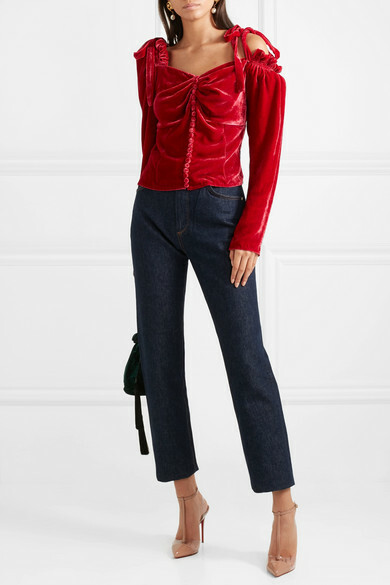 Shown here with: Goldsign Jeans, Magda Butrym Top, Hunting Season Shoulder bag, Oscar de la Renta Earrings.